This past month, the United Nations Environment Programme (UNEP) issued a call from the Galapagos to fight back against the plastic polluting the oceans, before it’s too late. “It is alarming that these plastics have invaded places as remote and pristine as the Galapagos, we must urgently change our consumption and production patterns to stop this torrent of contamination… We have to do this for the wellbeing of all species, including our own,” said Leo Heilman, UNEP’s regional director. Scientists estimate that eight million tonnes of plastic ends up in the ocean annually. That’s the equivalent of 630 billion single-use plastic water bottles going into the ocean every single year. According to a report launched at the World Economic Forum in 2016, if nothing is done by 2050, there will be more plastic in the ocean than fish. All this plastic is now finding its way to the Galapagos and threatening the 2,000-plus species that exist nowhere else on Earth besides the archipelago. Scientists have linked the rising deaths of seabirds, marine mammals, and sea turtles to the deluge of plastics inundating their habitats. According to a report by Telesur, authorities have registered what they characterized as an “overwhelming” quantity of plastic waste in the shores of the Galapagos. Marine animals are starving to death as they try to subsist on a diet of plastics that provides no nutritional value, or in many cases killing birds by piercing through their insides, or choking sea turtles. In an environment as rich and unique in biodiversity as the Galapagos, the increase in plastics found in the ocean waters could soon turn critical. There’s also the risk that floating plastics could carry invasive species to the Galapagos, leading to an invasion, according to Jessica Howard, a researcher at the Charles Darwin Foundation in Santa Cruz. Solutions to the problem of plastics in our oceans are being pursued all around the world. Scientists and researchers are working to devise methods to help remove the plastics currently overwhelming the oceans, from large-scale Ocean Cleanup project to unique and smaller-scale approaches to help combat ocean plastics. 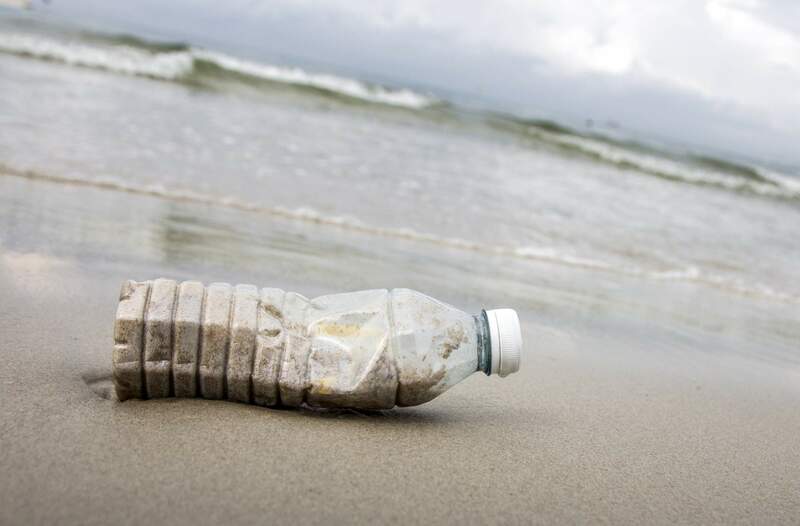 Perhaps even more important than removing the plastics already in the ocean though is the need to stop plastics from getting into the water in the first place. Solutions to that problem are not as simple on a grand scale in the way the Ocean Cleanup project works, however, it is an issue that each one of us can help to address by simply reducing the amount of single-use plastics we use. For example, on average, for just a two-week trip, at least 30 plastic bottles are used per person. That was the impetuous behind our introduction of the Travelers Against Plastic (TAP) reusable bottles in 2017, another piece of our continued commitment to sustainable travel. And plastic bottles aren’t the only single-use plastic item travelers tend to overuse. Remember, every piece of plastic you bring into a destination and leave behind will be there for thousands of years, so as you prepare for your next adventure, we ask that you please consider the amount of single-use plastic you pack or use while exploring, such as disposable plastic wrapping for leftovers or lunch, takeaway coffee cups, straws, and plastic shopping bags. After all, at Southern Explorations we believe every adventure we craft for you should make an enduring impression on you, not the other way around.